Experience Tchaikovsky's romantic masterpiece as never before! This timeless story of innocence and love comes to a magical life as Aurora, her Prince, the Fairy of the Crystal Fountain, King Florestan, and all of Tchaikovsky's delightful characters weave their musical spell. This deluxe tow-CD collector's edition of The Sleeping Beauty includes everything you need to bring this charming classic to interactive life, including: Five die-cuts of your favorite characters in enchanting costumes… Two breathtaking fold-out stage scenes to combine with the characters for a beautiful visual panorama…Now you can stage your own version of this timeless tale! 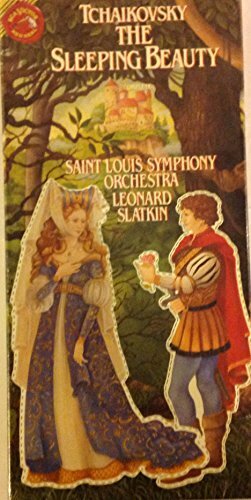 Richly illustrated four-color storybook with special musical explanations to follow as the story unfolds Two compact discs of the music in a memorable performance by Leonard Slatkin and the Saint Louis Symphony Orchestra Now you can hear, see, and take part in one of the most inspiring love stories ever told-Tchaikovsky's The Sleeping Beauty!